does it support video calling? - Yes it support Skype video calling with its front facing camera. Wat about the battery life practically? - haven't used one personally but based on reviews it comes to 14hrs talk-time and 330hrs stand-by. Can I play media files downloaded from different sources rather than windows market place in this device? - Yes, you can and I do that very often with my Lumia WP7.8 only. Does it allow wi-fi hotspot and tetthering??? - Yes, you can and I use this feature more often with my Lumia WP7.8 device. when is comming for india ? ? any news regarding it ? Using diff versions of Android for the last 2 years! Wat about the battery life practically? Would I be able to share files,mp3‘s and videoes with other WP or Android devices via bluetooth? Can I play media files downloaded from different sources rather than windows market place in this device? Does it allow wi-fi hotspot and tetthering??? If anybody having the answers or a part of it...please share!!! 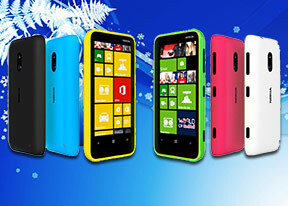 jeng, 12 Jan 2013nokia malaysia has launched it on 11th jan bro..check at the nokia storehow much it price? We want full review of this phone. go home , 20 Jan 2013dude are u a nokia fan boy or nokia pays u to write so goood about the companyThis IS a really nice phone, and it delivers what I am missing from older phones, i.e. changeable covers in nice color schemes - more of it. And it also delivers many technical features at a very decent price, so why shouldn't this be a winner. Not many people like to pay 500 to 1000 € for a simple smartphone. This phone is one of the mostly talked about and Nokia India has "launched" this in India without announcing price! All specs look good on paper except for 1300MAh battery. When can we expect a full blown review about this phone from GSMArena? AnonD-80799, 17 Jan 2013dude, go for nokia 620.. its much better than s advance (i own s advance). the s advance is st... moreyes, but to add to my dilemma, S advance has started to get JB update. Does S advance lag or it runs smoothly???? what will b the price of lumia 620 in india?? dude, go for nokia 620.. its much better than s advance (i own s advance). the s advance is stuck in the gingger bread and the camera performance is very poor..
sun, 14 Jan 2013s duos or l620 or xperia j or lg optimus l7 .few more bugs i can get lg l9 with big screen and... moreGo with LG L9, as it costs around 17k in local store wait for a month or so till its prices drops. being a heavy internet user it will make more sense to go with a bigger screen. L9 has 4.7" where as Lumia 620 has only 3.8", ram size is also half of LG.